Forest loss and degradation is occurring at high rates but humankind is experiencing historical momentum that favors forest restoration. Approaches to restoration may follow various paradigms depending on stakeholder objectives, regional climate, or the degree of site degradation. The vast amount of land requiring restoration implies the need for spatial prioritization of restoration efforts according to cost-benefit analyses that include ecological risks. To design resistant and resilient ecosystems that can adapt to emerging circumstances, an adaptive management approach is needed. Global change, in particular, imparts a high degree of uncertainty about the future ecological and societal conditions of forest ecosystems to be restored, as well as their desired goods and services. We must also reconsider the suite of species incorporated into restoration with the aim of moving toward more stress resistant and competitive combinations in the longer term. Non-native species may serve an important role under some circumstances, e.g., to facilitate reintroduction of native species. Propagation and field establishment techniques must promote survival through seedling stress resistance and site preparation. An improved ability to generalize among plant functional groups in ecological niche adaptations will help to overcome site-limiting factors. The magnitude and velocity of ongoing global change necessitates rapid responses in genetics that cannot be naturally induced at valid temporal and spatial scales. The capacity for new concepts and technologies to be adopted by managers and accepted by society will depend on effective technology transfer and a community-based approach to forest restoration. The many benefits human society gains from forests requires that forest restoration considers multiple objectives and approaches to minimize trade-offs in achieving these objectives. Forest restoration has become more important than ever during the early twenty-first century. The last Forest Resources Assessment (FAO 2015) reported a global net forest loss of 3.3 × 106 ha year−1 from 2010 to 2015, despite substantial reductions in deforestation rates compared to the early 1990s. International and local policy initiatives are thus pushing for an unprecedented amount of restoration as means to protect biodiversity and food security. Numerous global, regional, and national targets have been set for large-scale forest landscape restoration. Most notable among these are the commitments to the 2011 Bonn Challenge (www.bonnchallenge.org) to restore 150 million ha of degraded and deforested land worldwide by 2020, the Forest Declaration to restore 350 million ha of forests by 2030 as a result of the 2014 New York Climate Summit, and the recent Initiative 20 × 20 launched at the COP 20 in Lima, Peru to restore 20 million ha of forests by 2020 in some Latin American and Caribbean countries. The 2020 Targets of the Convention on Biological Diversity (www.cbd.int/sp/targets/) call for the restoration of ecosystems that provide essential services (Target 14), and enhancement of the contribution of biodiversity to carbon stocks through restoration of at least 15 % of degraded ecosystems (Target 15). The UN REDD + program (www.un-redd.org/) is attempting inter alia to encourage restoration of forests by creating a market value for the carbon stored therein. Restoration ambition is high with regards to achieving the goals of such programs, but many unknowns remain. The science and practice of restoration are still young, and our ability to recover biodiversity and ecosystem functions fully is currently limited (Ballantine and Schneider 2009; Bullock et al. 2011; Kovalenko et al. 2013). Restoration challenges vary in severity across regions and ecotypes (Whisenant 1999; SER 2004). At present, even with best practices applied, and even in extra-tropical wetlands, where large numbers of restoration projects have taken place over the last 30 years, we are only achieving ca. 70 % of what we aim for, in terms of both biodiversity maintenance and ecosystem service procurement (Moreno-Mateos et al. 2012). We should be able to do much better in the next 20 years with greater investment in science and technology, although a need remains to make these practices economically competitive in the short-term (Stern 2006). In recent decades, an evolution has occurred in both the characteristics of degraded areas in need of restoration and the fundamental objectives of restoration programs (Higgs et al. 2014). Many areas that had been converted to agriculture have since been afforested while intensive management practices, such as surface mining and road construction, yield extremely harsh environments that make restoration difficult. Increasing public concern about ecological sustainability requires that restoration counteract environmental impacts, while simultaneously restoring forest species, rehabilitating structure and function, and enhancing carbon sequestration capacity and other ecosystem services of the land (SER 2004; Martin et al. 2013; IUCN and WRI 2014; Cunningham et al. 2015). These tasks must now be accomplished under the dynamic nature of climatic change that implies increased exposure to drought and generally more extreme weather in many regions of the world (IPCC 2012). To meet these demands, new advances are needed, especially to account for a greater range of species and genotypes that reflect an increase in climatic variability for forest restoration activities. Selection of species and genetic material as well as nursery cultural practices must focus on overcoming planting stress on harsh restoration sites by enhancing the ability of seedlings to withstand frost, drought, nutrient deficits, vegetative competition, and browsing or grazing. As global estimates of land area requiring restoration now exceed 2 billion ha (Minnemayer et al. 2011), there is also a need to focus on prioritization and cost-effectiveness of restoration techniques. Concurrently, the science of forest restoration is evolving rapidly with advances in knowledge and in decision systems to meet societal demands, along with current and predicted ecological alterations derived from global change. Theoretical issues related to forest restoration are dynamic and still evolving, as forest restoration is a relatively young science. When designing a restoration project, properly defining objectives is one of the most critical tasks to ensure long-term sustainability. A key issue is conducting a community-based approach to forest restoration (IUCN 2014; Derak and Cortina 2014). Additionally, defining and refining objectives within the context of a rapidly changing world must be accomplished using a flexible framework. The concept of adaptive management (i.e., simultaneous learning and resource management in the face of uncertainty; Williams 2011) has reached forest restoration, with multiple implications that emerged during the Congress and this Special Issue. One of these is the definition and utility of a “reference ecosystem”, which must be revisited given profound changes in the theory of ecological restoration (Balaguer et al. 2014; Higgs et al. 2014). Linked to this, global change involves a high uncertainty regarding future ecological conditions of ecosystems to be restored, not only in relation to the changing climate itself but also with the interacting effects of climate on the introduction of invasive species or anthropogenic processes that affect land-use changes such as forest fragmentation. The risks and uncertainties of the effects of global change upon forest ecosystems require designing resilient ecosystems that will have a greater adaptive capacity to these new scenarios. For instance, we must reconsider the suite of species incorporated into restoration with the aim of moving in the longer term toward more stress resistant and competitive forest communities. Non-native species could play an important role in this capacity, particularly in cases where they provide short-term benefits to ecosystem function and promote the potential for longer-term succession to native species in ways that cannot be achieved by relying solely upon native flora (Davis et al. 2011; Ostertag et al. 2015; Fig. 1). However, it must be acknowledged that arguments for using non-natives, disregarding reference ecosystems, and related re-definitions of restoration are controversial and debated vigorously (Murcia et al. 2014; Peltzer et al. 2015). The vast amount of degraded land implies that the practice of restoration must be done efficiently at all levels and decision phases, from landscapes to interior stands. Spatial prioritization of restoration efforts according to cost-benefit analyses that include ecological risks is crucial (Lammerant et al. 2013). At the landscape level, effective restoration can be accomplished, for example, by creating forest fragments strategically positioned to maximize the fulfillment of ecosystem services, including potential dispersion (Rey-Benayas et al. 2008; Stanturf et al. 2014). As described in the 1st Restoring Forests Congress, developing tools to evaluate and monitor restoration success objectively is essential to accurately track the cost-benefit outputs of restoration efforts, and to learn from past actions using an adaptive approach (Oliet and Jacobs 2012). Recent scientific and technical literature describing the results of former restoration projects (Rey-Benayas et al. 2009; Bonner et al. 2013; Barral et al. 2015) indicates that past experiences in forest restoration must be capitalized upon to accomplish growing restoration needs for the future. This constitutes a living laboratory for developing monitoring tools that help to determine whether current restoration is working (Hallett et al. 2013). 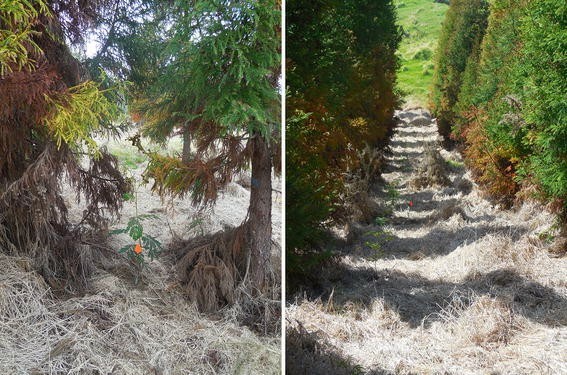 The ability of newly regenerating seedlings to overcome stress during the field establishment phase often determines longer-term success of forest restoration (Jacobs et al. 2004; Grossnickle 2012; Villar-Salvador et al. 2012). Production of planting stock adapted to resist environmental stresses on forest restoration sites represents a deviation from past emphasis of nursery stock quality research aimed toward reforestation of forest land with commercial timber species (Oliet and Jacobs 2012). This has prompted a shift from managing for fast growth, mainly by overcoming vegetative competition and animal browsing on cutover sites, to a need to resist stress associated with a more diverse suite of biotic and abiotic site-limiting factors. Modification of characteristics, such as container size or configuration (Chirino et al. 2008; Morrissey et al. 2010; Pinto et al. 2011), may produce alternative stocktypes more tolerant to drought or browsing. Specific propagation techniques that promote morphological and physiological attributes to enhance cold and drought resistance, for example, have been shown to improve seedling survival on harsh sites (Villar-Salvador et al. 2004; Grossnickle 2012). Furthermore, investigation into the relationships between nitrogen (N) content, N remobilization, and post-planting success have improved knowledge of adaptations of plant functional groups under varying ecological niches (Uscola et al. 2015). In turn, conceptual models have been developed that emphasize the generally positive effect of seedling N concentration or content on post-planting responses (Villar-Salvador et al. 2012), as well as species-specific techniques to load nutrients in the nursery (Salifu et al. 2009; Oliet et al. 2013). Although early research showed the positive role of reserves of non-structural carbohydrates (NSC) on seedling quality (Marshall 1985), and recent studies have specifically examined the role of NSC in species from different biomes (Landhäusser et al. 2012a; O’Brien et al. 2014), progress in this area has lagged behind that of seedling nutrition. New investigations are needed to help overcome methodological issues and disentangle the role of remobilization versus current uptake of NSC in response to planting stress, e.g., through carbon-labeling approaches (Tomlinson and Anderson 1998). Additionally, new techniques to effectively load seedlings with NSC in the nursery (Landhäusser et al. 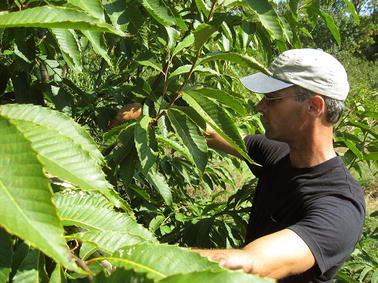 2012b) will improve knowledge and management of this important driver of seedling establishment. 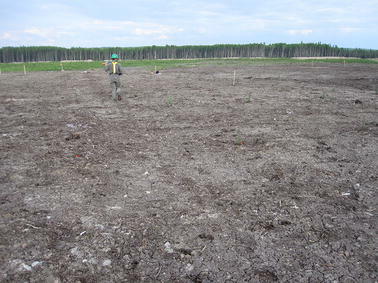 Finally, the interactive role of belowground microbial communities in site restoration and relationships to nursery or stand-level silvicultural treatments deserves increasing attention because these communities serve as important indicators of healthy, functioning ecosystems (Harris 2009). Recent investigations into ecological interactions at the microsite level have emphasized the importance of small-scale heterogeneity in the distribution of resources and micro-environmental conditions. These studies show positive effects of biotic interactions with facilitation (Perea and Gil 2014; Soliveres et al. 2014), habitat complexity associated with biological legacies (Stanturf et al. 2014), or micro-topography (Questad et al. 2014). This knowledge is essential to design more efficient restoration projects with reduced inputs. Under degraded environments such as with abandoned croplands, surface mining, or highly eroded soils, however, systems lose most of their structural elements and sources of microsite diversity may become limited (Tongway and Hindley 2004; Cortina et al. 2011). In addition, many restoration projects require plant densities and spatial distribution that do not match current structural layout of the biological legacy or micro-topography. Under these circumstances, site preparation techniques and other eco-technologies must be applied to ensure restoration success (Vallejo et al. 2012; Piñeiro et al. 2013), with development of low impact mechanical technologies being of increasing emphasis (Löf et al. 2012). Demand for mine reclamation, for example, is fostering new approaches in site preparation such as geomorphic restoration (Balaguer et al. 2014; Fig. 2) that can be applied in other restoration contexts. While forest genetics has served as an important consideration in forest regeneration and restoration since the initiation of science-based action, the role of genetics in an uncertain future is exponentially gaining importance (Bozzano et al. 2014). The magnitude and velocity of ongoing global change will necessitate rapid responses in species selection and population genetics, breeding for insect and disease resistance, and molecular genetics that cannot be naturally induced at valid temporal and spatial scales. Research is needed, for example, to improve selection of better-adapted seed sources for outplanting in different environmental conditions; this is particularly crucial for native species in semi-arid zones that will become increasingly hotter and drier in the future (Weber and Sotelo Montes 2010; Weber et al. 2015). Intense debate has been raised at multiple levels regarding some applications of genetics to forest restoration, i.e., assisted migration of provenances and species (Dawson et al. 2011; Williams and Dumroese 2013; Stanturf et al. 2014) or the use of classical breeding versus genetic engineering (Merkle et al. 2007; Jacobs et al. 2013; Fig. 3), suggesting that we are in the infancy of navigating these dynamic and critical issues that have long-lasting consequences toward success of forest restoration programs. Progress in effectively incorporating genetic considerations into forest restoration will require improved integration of both social and biological feedback (Aronson et al. 2010; Jacobs et al. 2013). A total of 21 original research or review articles covering a wide range of issues in forest restoration are included in this Special Issue; here, we highlight some of these. In accordance with his inaugural address from the Congress, Stanturf (2015) presents challenges of forest restoration in a global (i.e., landscape) context. He emphasizes the vast amount of degraded area requiring restoration and the need to rely upon an integrative, adaptive approach given the uncertainty of changes in climate as well as social priorities. In practice, several active adaptation strategies may be used to pursue restoration goals; while these vary in functional methodology, they each share similar key objectives. Following Adrian Newton’s keynote presentation, Newton and Cantarello (2015) analyze the uncertainty regarding the ability to define and measure forest resilience in a restoration context. One of the challenges they uncover is our reliance upon identification of multiple stable states, which forms a basis for integration of the ecological resilience concept. They suggest a new approach to help guide restoration practices by measuring rates of forest recovery and resistance using meta-analysis and ecological modeling. Nunez-Mir et al. 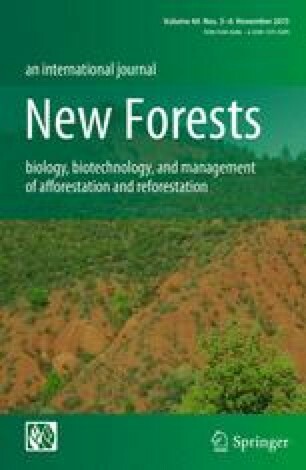 (2015) provide a timely analysis of the 35-year evolution of published scientific literature in forest restoration. As expected, they found a rapid increase in research specific to restoration ecology in the forestry literature. But the scale of its escalation (i.e., a 50-fold increase from 2000 to 2013) is perhaps unprecedented in forest science and a testament to the prominent rise of restoration-related issues affecting the ecology and management of forests. They suggest gaps in current forest science literature in the use of key terms being actively debated in the field of restoration ecology at large, suggesting possible future directions. In an important evaluation of the capacity of restoration activities to restore ecosystem function over time, Avera et al. (2015) examined soil chemical properties of sites in the US. Appalachian Coal Basin that had been reclaimed/reforested between 5 and 30 years ago in reference to non-mined controls. Many important indicators of ecosystem health did not vary between reclaimed and reference stands, but detectable differences in some other parameters indicate the absence of some critical ecosystem functions. Following on this issue as presented in her keynote address, Ellen Macdonald and co-authors contributed a global review of the challenges involved in restoring ecosystem function following mining disturbance (Macdonald et al. 2015). They advocate use of an integrative operational approach that incorporates key advances in ecological engineering, site preparation, propagation of plant materials, and site silviculture. Friday et al. (2015) envision future restoration of the isolated archipelago of Hawaiian Islands through a case study. Interestingly, they highlight many key themes of the Congress, including the potential utility of non-native species to aid in the initial reclamation of heavily degraded sites, the importance of prioritizing which sites to restore first, and the need to implement cost-effective restoration techniques. In the paper following her keynote address, Hawkins et al. (2015) synthesize literature regarding the role of ectomycorrhizae in N nutrition, in special consideration of processes involved on degraded sites characteristic of forest restoration. They discuss disturbance regimes in which restoration may benefit from artificial inoculation of nursery stock or introduction of ectomycorrhizae onto field sites, yet they also highlight the complexity of fully understanding this below-ground community and the challenges of artificially reintroducing a diverse ectomycorrhizal community across heavily disturbed landscapes. In another paper from an invited keynote presentation, Villar-Salvador et al. (2015) traced the importance of stored non-structural carbohydrates and N in determining stress resistance of newly planted forest trees. Using a meta-analysis approach, they found distinctions among plant functional types in storage patterns of carbohydrates and N within plant tissues as well as their reallocation to support growth following transplant. Differences were tied to varying ecological strategies of plant functional types and they make recommendations for management to encourage plant establishment on harsh sites. Several case scenario papers were devoted to the effects of site limiting effects on restoration establishment, highlighting for example the impact of predation or shelters on Mediterranean oak regeneration (Castro et al. 2015; Leiva and Vera 2015; Oliet et al. 2015; Rey-Benayas et al. 2015), as well as influences of nursery stock morphology and/or competing vegetation on soil microclimate conditions and growth of Acacia koa A. Gray in Hawaii (Pinto et al. 2015), Nothofagus spp. Blume in the mountain of Chile (Donoso et al. 2015), and Pinus echinata Mill. in the eastern US. (Kabrick et al. 2015). Biochar, a charcoal intended to serve as a soil amendment, has received attention for its increasing use in agronomic systems. Thomas and Gale (2015) present the first meta-analysis on its application to forest restoration systems. Although they uncovered distinctions in responses across ecotypes and species, overall they conclude that biochar has greater potential to promote growth of woody plants in restoration than it does to improve growth of agronomic crops. Finally, the role of genetics in producing resilient ecosystems under global change was debated during the Congress. Dumroese et al. (2015) conceptualize how functional restoration, assisted migration, and bioengineering may be applied independently or concurrently to help meet restoration goals. They illustrate this using the example of the threatened tree, Fraxinus nigra Marsh., and conclude that the capacity for such a framework to be adopted by managers and accepted by society will depend at least partly on effective technology transfer and an adaptive approach that considers changing societal values. In a more specific analysis of assisted migration, Benito-Garzón and Fernándex-Manjarrés (2015) modeled volume and mortality responses for two important Mediterranean pines, highlighting the fuzzy relationship between these parameters and seed sources or target planting locales. This reiterates the need for additional research (e.g., short-term provenance tests under controlled conditions and field sites) to optimize effectiveness of assisted migration programs. Forest loss and degradation still occur at high rates but humankind is experiencing an historical momentum that favors forest restoration at the global, regional, and national levels. The definition and utility of a reference ecosystem must be revisited given profound changes in the theory of ecological restoration. However, according to many, it still has an important role in distinguishing restoration and ecological rehabilitation from activities that do not give priority to historical continuity (SER 2004). Global change imparts a high degree of uncertainty regarding the future ecological conditions of forest ecosystems to be restored, in relation to a changing climate as well as interactions with land-use changes, i.e., conversion, fragmentation, and degradation. The concept of adaptive management has reached forest restoration, i.e., iteratively defining and refining objectives and practices in a simultaneous process using a flexible framework within the context of a rapidly changing world. We must aim to restore, rehabilitate, and in some cases design resistant and resilient forest ecosystems that can adapt to emerging circumstances, i.e., ecosystems with a high adaptive capacity. The vast amount of land requiring restoration implies the need for spatial prioritization of restoration efforts according to cost-benefit analysis that includes ecological risks. We must reconsider the suite of species incorporated into restoration with the aim of moving toward more stress resistant and competitive combinations in the longer term. While native species should be prioritized whenever possible, non-native species may serve an important role under some circumstances. This remains controversial, however. Nursery propagation and seedling quality assessment must shift from a focus on reforestation practices designed to promote fast growth on cutover sites toward promotion of seedling survival through greater stress resistance. An improved ability to generalize among plant functional groups in ecological niche adaptations is needed to overcome the diverse suite of biotic and abiotic site-limiting factors characteristic of restoration sites. In degraded environments, site preparation is often necessary to restore structural elements and sources of microsite diversity, with low-impact mechanical site preparation being of increasing emphasis on restoration sites. The magnitude and velocity of ongoing global change will necessitate rapid responses in genetics that cannot be naturally induced at valid temporal and spatial scales. It is important, therefore, to identify better-adapted species and optimize provenance selection for assisted migration. The many benefits that society gains from protected and restored forests, i.e., their ecosystem goods and services, requires forest restoration to consider multiple objectives and approaches to minimize trade-offs in achieving these objectives. The capacity for new concepts and technologies to be adopted by managers and accepted by society will depend on effective technology transfer and a community-based approach to forest restoration. With the conclusion of the Congress, we renewed our universal commitment to reinforce our role as a multidisciplinary working group that periodically gathers to collectively address forest restoration issues. We agreed that the 3rd IUFRO Restoring Forests would be held during 2017 in Scandinavia. We are most grateful to all authors of this Special Issue of the 2nd IUFRO Restoring Forests Congress and particularly appreciate the contributions of articles from invited speakers: Barbara J. Hawkins, S. Ellen Macdonald, Adrian C. Newton, John A. Stanturf, and Pedro Villar-Salvador. We appreciate constructive comments from three reviewers on this manuscript.